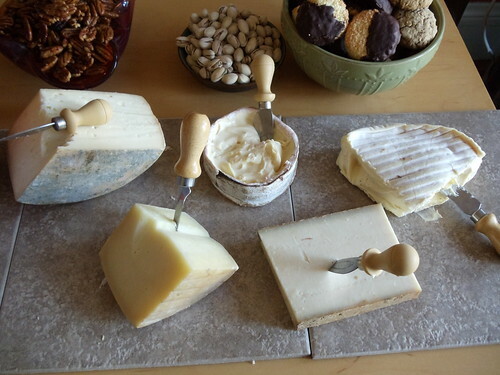 This entry was posted in Uncategorized and tagged antique gruyere, cheese, cowgirl creamery, paski sir, rush creek, thanksgiving, uplands creamery. Bookmark the permalink. AHHHH! How did you get your paws on the Rush Creek?? I’ve been hearing all sorts of ridiculous things about it not making it to the west coast, grumble grumble…. Well, I only got 8. I have high hopes for this cheese. oooo – next shipment of Rush Creek, let me know and I’ll be in for a wheel!!! How big are they? as of Saturday night we still had a couple. they are smaller than the Tomme du Jura you got by almost half, weight-wise. (They are not as complex or strong as the Jura, btw. 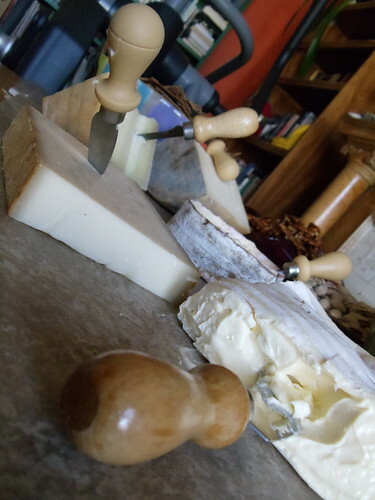 This cheese is still in its early stages of production so I think it’ll get there someday, but these wheels won’t). let me take that back. they are half as much pr1ce-wise, about 2/3 the weight.